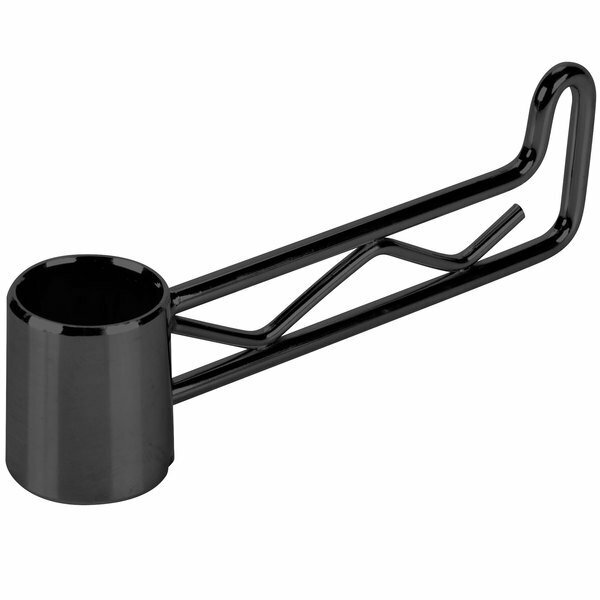 Choose a 6 1/4" black epoxy swing hook from Regency to maximize storage and display space at your business. Regency's 6 1/4" black epoxy swing hook is designed to work with your existing shelving to provide extra storage in your facility. This product's epoxy coating also allows you to use it in dry storage and warewashing areas, along with walk-in refrigerators and freezers. 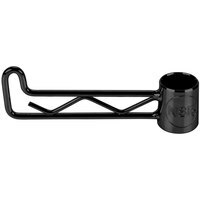 Additionally, this swing hook is an excellent addition to front-of-house merchandising and display spaces. 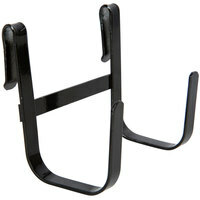 "The Regency Black Epoxy Swing hook is easy to install on an existing regency shelving post. The hook is good to hang employee coats or to hold trash bags." 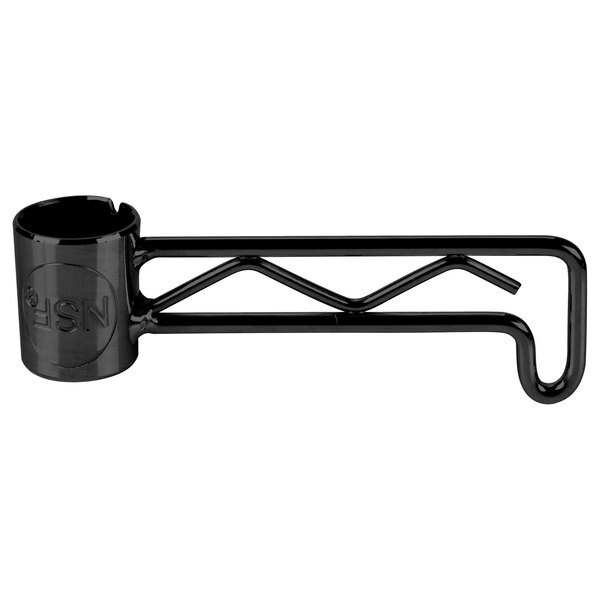 This swing hook is constructed of durable zinc plated metal with a black epoxy coating for maximum longevity. When combined with other Regency shelving materials, it can hold up to 60 lb. of evenly-distributed weight. 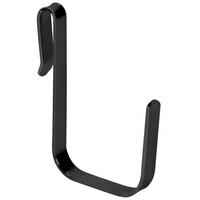 The classic black style of this swing hook makes it an excellent option for retail use in your grocery store or farmer's market. Its sleek color will also blend well with any design or decor. This hook is fully adjustable to accommodate textiles, pots, pans, and serving utensils. It also offers the rigidity of solid metal but can easily be adjusted without tools or hardware. 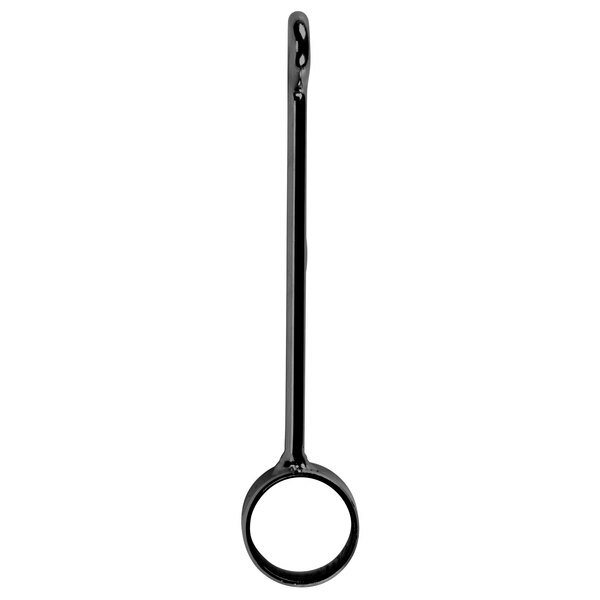 To install this swing hook, simply attach it to a compatible post using Regency split sleeve clips (sold separately). 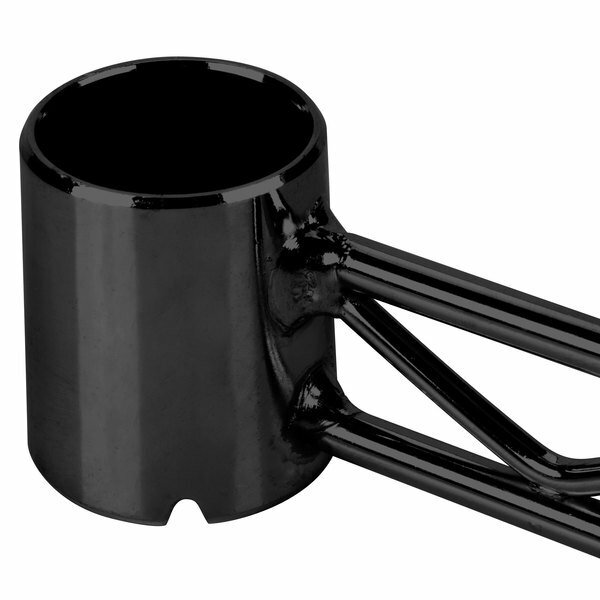 Once installed, the hook can easily be adjusted to any of the post's incrementally notched lines. 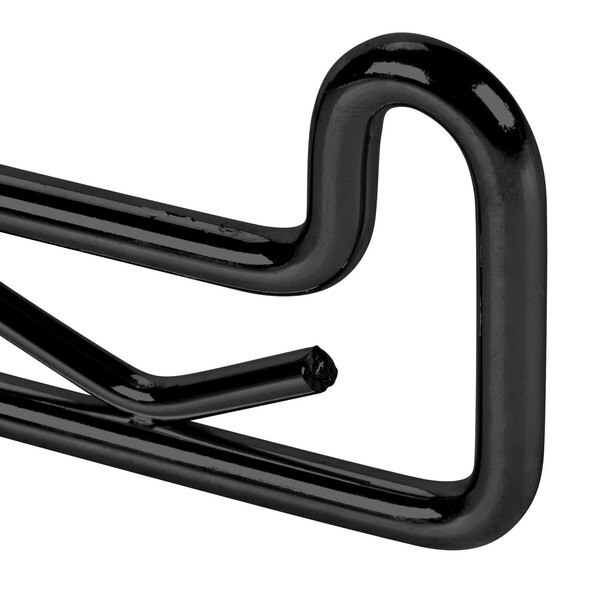 Item #: 460EB6SWING Regency Black Epoxy Swing Hook - 6 1/4"
Metro H110R Red Swing Hanger 6 1/4"
Overall User Rating: Regency Black Epoxy Swing Hook - 6 1/4"
The Regency Black Epoxy Swing hook is easy to install on an existing regency shelving post. 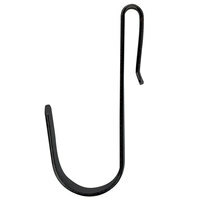 The hook is good to hang employee coats or to hold trash bags. these came and are great but they didn't come with the tabs for the inside. I"m checking to see if I have to order those seperate but they do look as they do on the page and seem very durable. Thank you for the review, Kathy. We’re sorry this has not worked well for you. The sleeves are sold separately, which are located here Regency Shelving Split Sleeves, Pair - 4/Pack!